Every Management workshop I have ever attended whether at university or for professional development is underpinned by a recurring theme: managers do things right. That generally translates into having a structure of systems and enforcing conformance through a clear and fair process. Most aptly that system is based around policies and processes designed to protect the company in the pursuit of organisational goals. Ensuring compliant can be challenging though. Having consulted with a large and diverse number of organisations it seems that whilst job familiarity is high (i.e staff know how to perform their respective tasks), the knowledge of organisational requirements (i.e policies and procedures) is relatively low, or in some cases, non-existent. Well let’s rewind, for most workplaces policies and procedures are designed to translate the applicable legislation and standards into an operational environment. In short an organisation must demonstrate that it and its staff are complying with legislation; all legislation, from tax law, employment, industrial relations, safety etc. The predominant approach is to design a set of processes and guidelines and to communicate to staff how these apply in their individual environments. For most we know these as policies and processes. I tend to find that box has been ticked, especially in medium to large organisations. However the breakdown occurs down the line. Think about your current workplace; are you aware of the policies and processes relevant to your job? The generic common response is a non committal. I would say the majority of employees are working in a regulated environment, without an understanding of the rules they are meant to play by. The deeper in the organisation you dig, the worse the problem. I recently conducted a Management workshop for a large corporate client. This was attended by all their senior management team. None of which could locate organisational policies relating to recruitment of staff, discrimination or even grounds for termination. Actions which they each said they have taken within the past 3 months. It was interesting as this was the first occasion this had ever been brought up. Slowly they each began to convince me that there was no such policy or process and everyone just does it their own way. You can imagine their shocked faces I handed out copies of some of the relevant organisations policies and processes including how to recruit an employee. By overlaying each manager’s approach to the organisational policy it was clear each was in breech. “Big deal”, “we still hired someone”, “work’s still getting done” were typical responses. It wasn’t until I asked; “are you aware of how are your staff are recruiting others”? that the penny dropped. The room was silent. Amusingly they trusted themselves to do the right thing, even if it wasn’t in line with policy, but feared being responsible for someone else having the freedom in taking similar actions. I explained the analogy of skiing (well snowboarding as it’s much better). 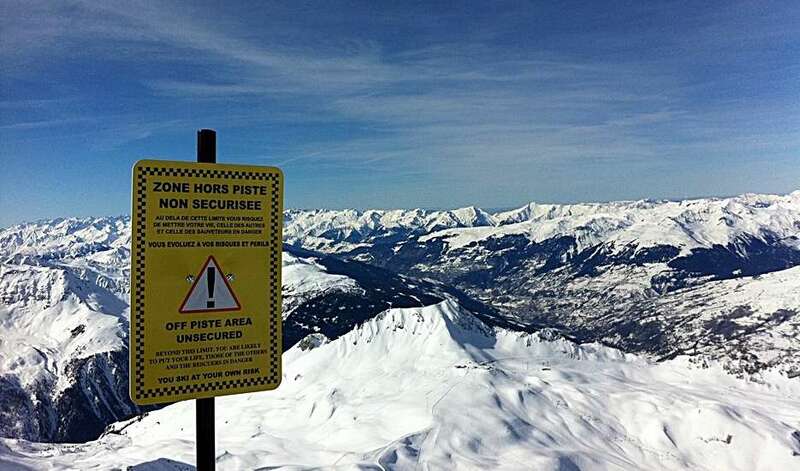 In most resorts there are areas where you are allowed to ski, the snow has been compacted, hazards have been removed and it is for all intents, relatively safe. Then there’s the fun stuff, which as you become more confident in your abilities and up for the next challenge you venture “off piste” and out of bounds. Here you can do what you like, kind of an unregulated environment. The downside is that if you get injured, you’re on your own. The ski resort isn’t going to cover your medical bills and you will find the same with insurance companies. That $30,000 bill for the rescue helicopter makes for a very expensive trip. It’s the same in the workplace when our actions are inline with the organisations requirements we are to all intents of purpose “protected”, however working outside the lines, outside the process, outside of policy can be a very dangerous adventure. One which the individual can be personally held accountable for the consequences. So why do the majority of us take these risks? Well the argument can be made that we don’t know any better, we don’t have time to find the policies, or the rules aren’t applicable to us (said by everyone), but at the end of the day hard wired in the human condition is the freedom found in the use our own intelligence. Whilst conformance does make us good employees, innovation comes from colouring outside the lines. Now this isn’t designed to be a waiver in not following policy, but a challenge for continual improvement. I find that the majority of those who act out of policy have good intent and truly believe they are doing it for the benefit of the company, but at an unknown cost to themselves. Consider your current actions, are they congruent? If no: it doesn’t mean your way is wrong (but you should still follow the organisation’s way for now), consider the pros and cons of the differences in your approach.